It's nice to have a cup of coffee early in the morning, but "don't forget to put milk in it". That's what we hear from dieticians. This good advice keeps pouring in for latte lovers. 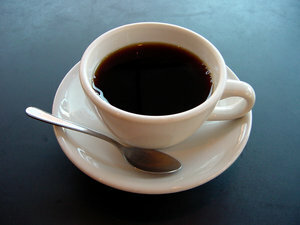 Many of us were told to limit coffee intake, however, coffee is also good to keep us healthy. All knew that a cup of coffee has a silver lining, especially when served with milk. Also, we know that coffee is rich in antioxidants, and if drunk with milk, can provide a dietary source of bone-building calcium. Milk has calcium and other nutrients in it, protecting bones to guard against osteoporosis, and with non-fat milk, you can get the nutrition with few calories, too. Those who drink three cups of coffee with milk per day, you get about a quarter cup of milk per coffee drink. That adds up to an average of 3/4 cup of milk per day, per coffee-drinking of 225mg of calcium which is nearly 25% of the calcium RDA (recommended dietary allowance per day) for adults. 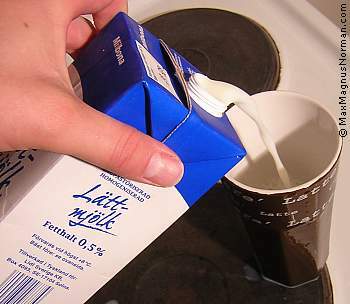 I myself brew coffee everyday and drink about 6-7 cups a day, and of course, it's with milk. I don't drink any soft drinks and liquor. To make calcium work for your bone making, do not forget that vitamin D is also needed. But where do we get vitamin D? Do we need to get it from vitamin D tablets or dried mushroom? Effective way is so simple—just daily sunbath for a few minutes will do the work. How about that? Now, you can get good amount of calcium for your body. Furthermore, don't you know that PYRO-ENERGEN treatment for few minutes daily will help process the calcium production in the body? Does PYRO-ENERGEN produce vitamin D? We are studying about it, too.